Because these vodkas are both sweeter and lower in alcohol than traditional vodkas, we've had to recalibrate recipes and also try new ones. There are plenty of Pinnacle recipes out there but we've kind of borrowed bits and pieces from here and there and added our own ideas. This particular cocktail is a good example of how much different the Pinnacle is than a standard vodka. An ounce of lemon juice to two ounces of vodka should be sour as hell but this drink is in perfect balance. And it's yummy, too. Cheers! 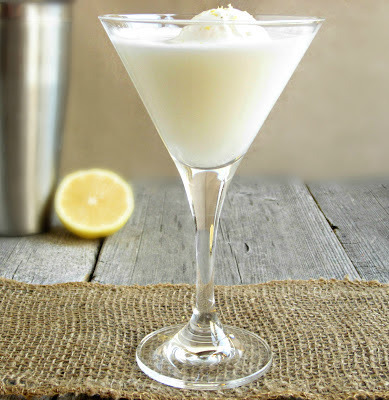 Add the vodka, lemon juice, simple syrup and cream to a cocktail shaker and fill with ice. Shake well and strain into a chilled cocktail glass. Garnish with the whipped cream topping. Anita...I don't even like alcohol but I am sooo in love with Pinnacle Whipped. I got to taste it when I had just started working in alcohol promos and I was like "Ah that burns but yummy!" This cocktail looks wintery and perfect for us here in FL, it's rather warm today. I have seen these flavored vodkas but never dared try them. Thanks for this recipe, I am heading out to my sisters this afternoon to try and photograph these two barred owls she has up in her trees. She will love this drink too. Sounds delicious! Have a wonderful weekend. This looks and sounds sooooo good, Anita! 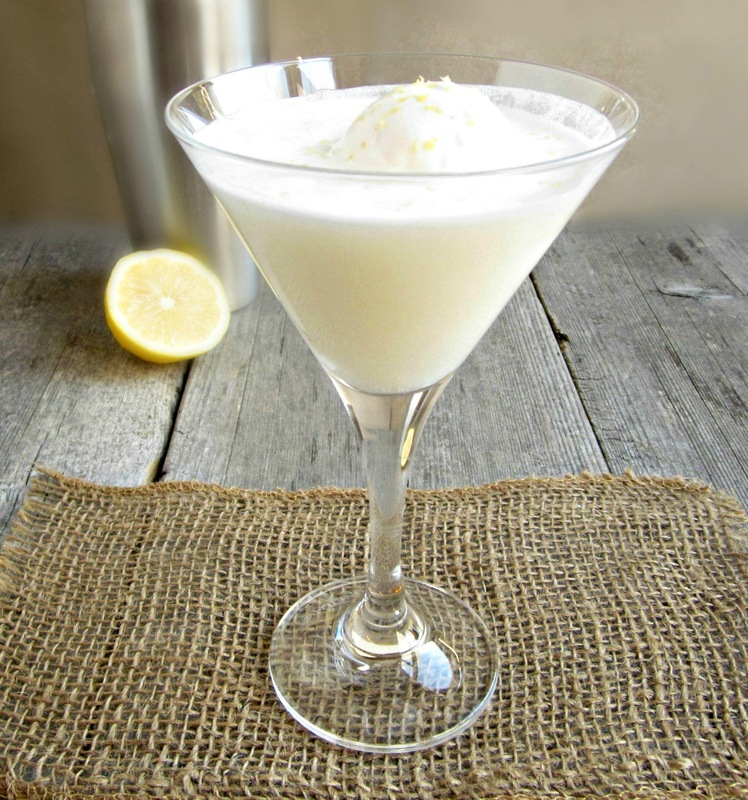 I have never heard of it but we are going to browse the liquor store for our holiday inbibing and I am totally going to look for it and then make your martini because we LOVE lemon meringue pie so this must be fabulous!! Anita, this sounds yummy! I may have to go browsing and see if I can find my own blue bottle! Looks like one that we should try. And, you're not alone, we browse the liquor stores/aisles also. I had no idea how different whipped vodkas could be, but they sound so delicious. I've seen these vodkas at the liquor store, but never picked them up. Now I'm intrigued! Looks so good, Anita! Thanks for sharing at Foodie Friends Friday! Oh man I love this - normally the recipes I see with Pinnacle end up being so cloyingly sweet I could gag, but this is the first lemon meringue one I've found! What an awesome idea - bet the citrus/tart helps with that sweetness. Delicious post! Anita, I'm wondering if I've been living in an alternate universe...I've never heard of these newfangled whipped vodkas until now. However, your cocktail is gorgeous and festive. I appreciate your mention of the balance you achieved in regards to sweet/sour. Brava! I'm happy to hear that I'm not the only one that peruses the liquor store. I love rummaging through wine and vodka. This is one delicious looking cocktail! I can't wait to give it a try. I tried this...delicious. I used almond milk and no whipped cream, only because I want a cocktail NOW and I have to make due with what I have. But, it's still really good. Good thing I don't have an infinite amount of lemons in my house...could get dangerous.